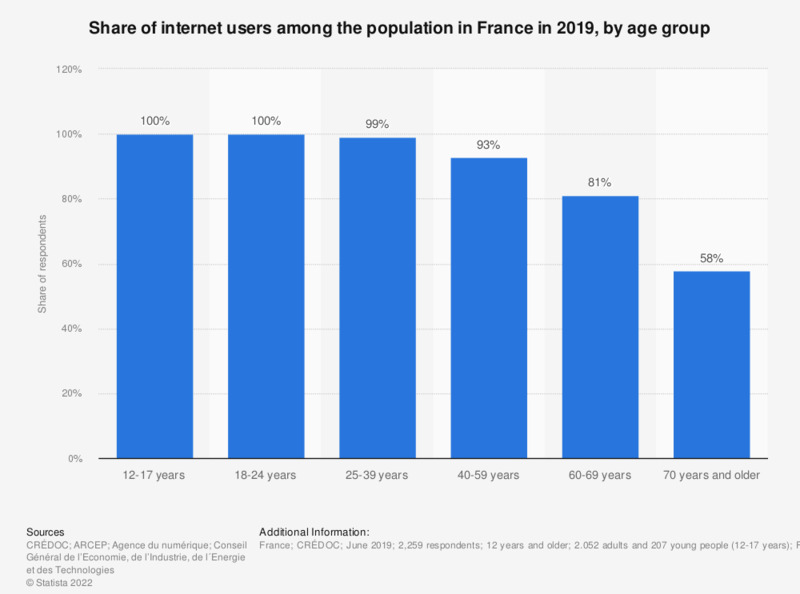 This statistic represents the share of internet users among the population in France in 2016, by age group. It reveals that a hundred percent of people aged 12 to 17 were internet users, whereas only 48 percent of people aged 70 and older used internet. Compared to a few years ago, would you say that you agree to share your personal information more or less easily?